Email marketing ideas are more often the result of evolution than revolution. Usually, the best ideas come from taking a new look at the same types of email messaging you’ve see time and time again. 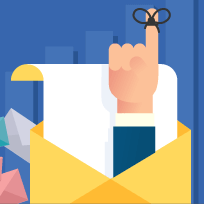 Today, we’re going to take a look at the typical transactional email and discuss a few campaign ideas that’ll transform these strictly utilitarian messages into able marketing tools. A transactional email is a message triggered by conspicuous user behavior and is typically receipts or confirmations. These messages have come to be an expected piece of interacting with any online entity. When you sign up for a newsletter, you expect an introductory email. When you change your password, you expect a notification via email. When you make a purchase, you expect a confirmation. These are transactional emails. In discussions among marketers, we’ve heard far too many people opposing transactional and marketing emails. The truth is, they’re closely related and, if you’re not doing a little marketing with your transactional messaging, you’re wasting a prime opportunity. 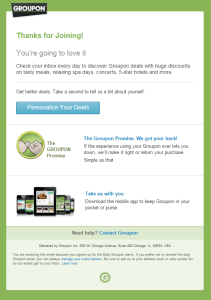 The reason transactional emails are the topic of today’s discussion is simple: They perform extremely well. According to some reports, transactional emails boast gross open rates of over 100%, meaning the average reader opens these messages more than once. Why is this the case? 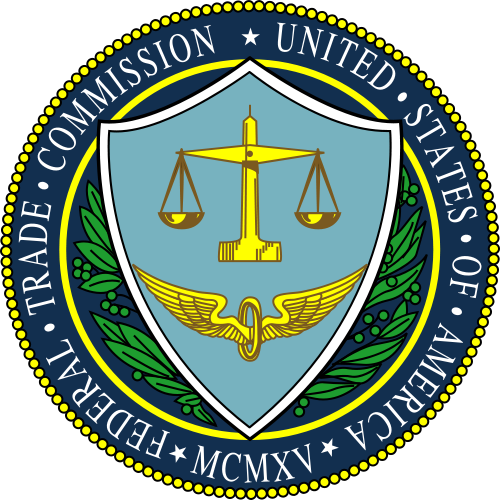 Transactional emails are sent as a reaction to user action and, in the case of receipt emails, people like to know that their input was properly received. People tend to interact with transactional emails moreso than the typical message. According to a study from Silverpop, the clickthrough rate of transactional emails (9.2%) is nearly 300% higher than the average email (3.2%). Transactional messages have become a standard piece of the online experience. People understand that when they go and make a purchase, sign up for a new service, or submit a query, they’re likely to get an immediate, affirmative response. These messages are expected, anticipated, and–for the most part–appreciated. As a marketer, they represent a chance for you initiate a new sales lead without coming off as pushy or invasive. The numbers behind the messages prove that transactional emails are, per send, among the most efficient messaging strategies in the marketer’s toolbox, and yet they’re largely untapped in terms of marketing potential. Let’s discuss a few ways you can turn these expected, welcomed messages into profitable tools. All too often, we see transactional emails dispatched from vendors en masse with zero promotional content. People are reading, click, and expecting messages from you; don’t pass up on a great opportunity. 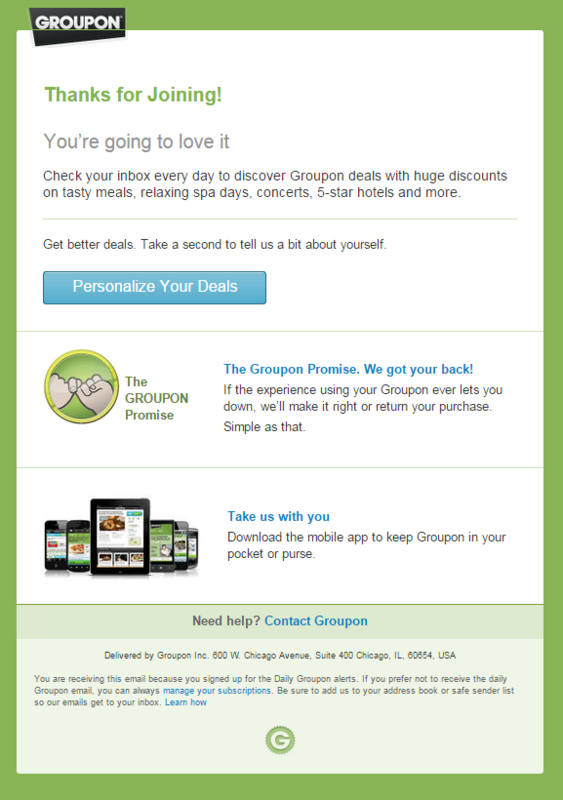 Take this email from Groupon, for example. Immediately after signing up, they send out a welcoming message. Here, they thank me for providing an email address and taking the time to register. Near the bottom, however, they include a subtle nudge toward downloading the app. This is certainly not required by registration, but is a nice use of email space. Although the majority of the message was strictly transaction, Amazon did not pass up on the opportunity to include a few related items. There’s a common misconception that transactional emails perform so well because they’re not promotional in nature. The data suggests otherwise. 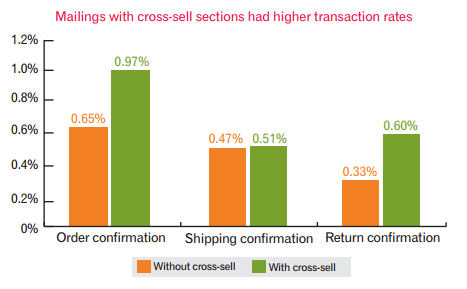 In fact, according to an Experian study, transactional emails with cross-selling sections had a higher overall interaction rate. We see far too many opportunities wasted in terms of connecting with consumers after opening the door with a transactional messages. Despite the prevailing school of thought, transactional emails are very useful (and non-intrusive) as the beginnings to a message series. Action: A user signs up. Reaction: Dispatch a welcoming message. Wait a few days, then check in on your new member! If they’ve been inactive, give them a list of suggested first steps. If they’ve been using your product or service, ask for their opinion! Action: A user makes a purchase. 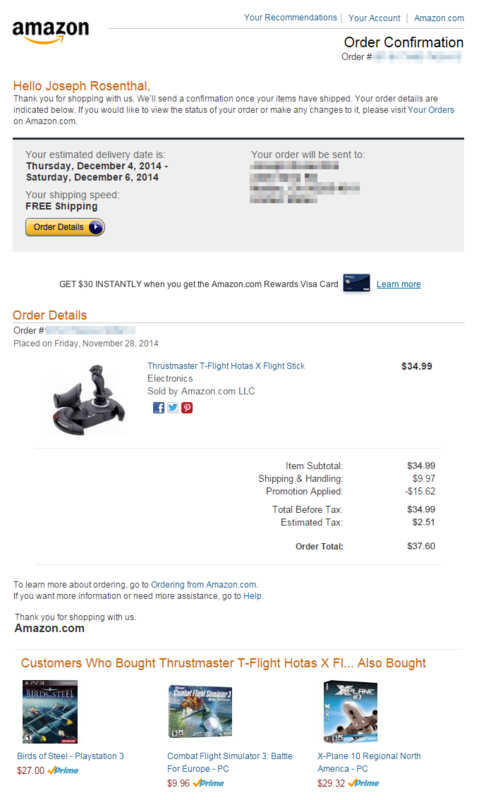 Reaction: Immediately dispatch an order confirmation. Next, when the customer’s order has been shipped, send another notification. About a week down the line, check in on your new customer and ask them to review your product. Action: A user creates a wishlist. Reaction: As per usual, send a message to consumers when an item on their list goes on sale. Additionally, send our messages when any updates or changes happen to said item. Far too many companies are settling for a single point of contact in response to user action. Make as many logical, useful interactions happen as possible. In the era of mass connectivity, there’s no reason to pass up on an opportunity to grow your presence. In each email you send, include links to all of your social channels. If the emails you’re sending out are introductory in nature, feel free to suggest getting connected as a good first step. Additionally, on receipt or review emails, don’t be afraid to ask for customer referrals. Modern, on-demand transport giant, Uber is known for the effectiveness of their referral program and it’s not surprise that it makes an appearance at the footer of each transactional email. Although we’ve spent the majority of this blog discussing strategies to leverage transactional emails for marketing use, the original intended purpose of the transactional email must always be the focus of the message. Never intentionally mislead readers. This isn’t just a moral or ethical suggestion, it’s a matter of legislation. 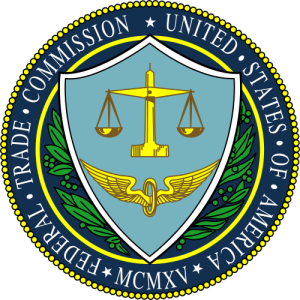 According to US CAN-SPAM regulations, emails defined ‘transactional’ must remain “primarily transactional.” Though you are allowed to include some marketing material, the message must stay true to its original intent. Adding a marketing twist to your transactional emails is a great way to expand your audience and keep your brand top-of-mind. Although you need to be careful when toeing the line, these emails are woefully largely under-used. For more email marketing ideas and to learn about site-wide abandonment solutions, contact UpSellit!